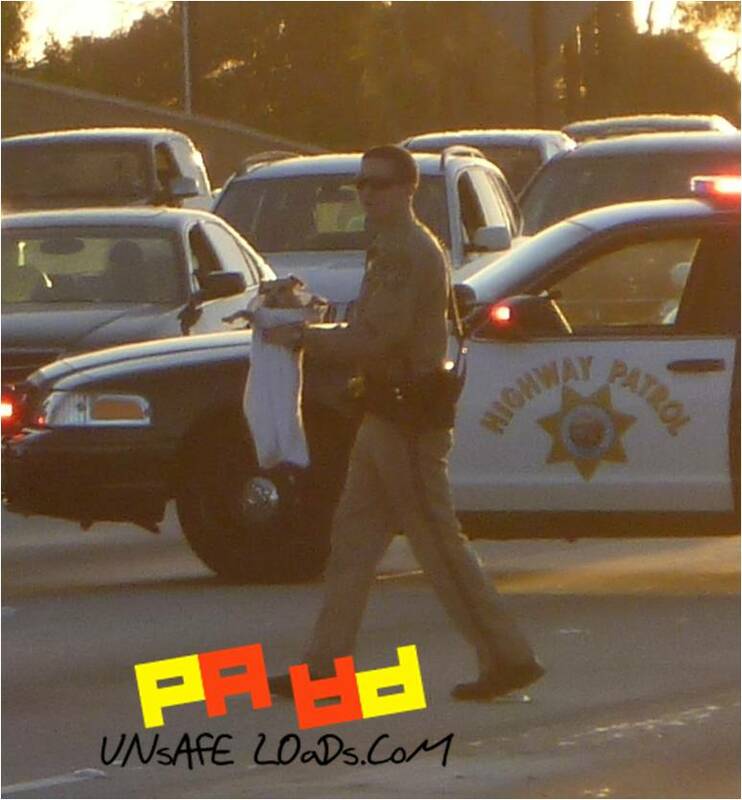 My friend took these shots and when I first looked at them I didn’t notice the California Highway Patrol gent holding something. Then I remembered the other half of the 405 was shut down because they were trying to catch a lost pet! Looks like they saved the dog and this guy is my hero!